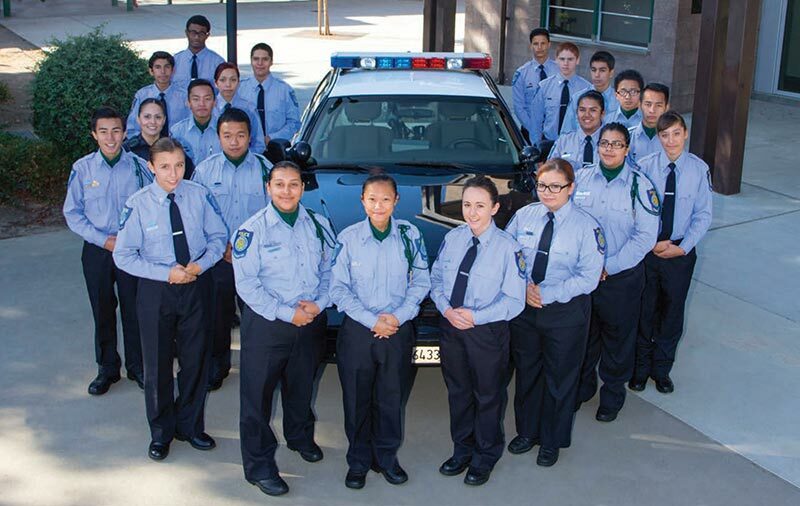 The Criminal Justice Academy is a four-year high school program structured as a “school within a school.” The intent of the Academy’s courses is to prepare students for both college and careers. Students participate in a variety of motivational activities designed to encourage academic and occupational preparation, such as field trips, job fairs, leadership workshops, and academy-wide challenges. Students receive college mentorship each month and have the opportunity to receive college scholarships. There are four area high schools with Criminal Justice Academies – John F. Kennedy, Hiram Johnson, C.K. McClatchy, and Grant Union. The Criminal Justice Academy programs at all four schools have resulted in the vast majority of its graduating seniors moving on to college immediately after graduating high school. Their graduation and college attendance rates surpass those of other students at their schools. Several students from our program have obtained jobs within the Police Department ranging from public service aides and CSI investigators to police officers. For more information, email youthservices@pd.cityofsacramento.org. "The Criminal Justice Magnet Academy has given me the strength, resilience, and determination to not only follow my dreams, but to chase them with the utmost best of my ability, without ever giving up." Asya Grigoryan 19 years old, Grant High School Class of 2015 Currently attending UCLA - majoring in Linguistics and double minoring in Education and Armenian Studies. "CJA has opened up an entire world of possibilities for me and given me the the tools to face them and pick the best ones. If it wasn't for this Academy I'd probably be another statistic instead of a leader with as bright a future as the one I'm headed towards." "CJA has motivated me to not follow the norm of my Hmong culture for young women. It showed my potential to become the difference, to pursue a higher education for a future of my own. I have gained experience with many different kinds of career within law enforcement and outside that helped give a broad overview of my options with the mindset that quitting quitting is not an option." "In this academy I learned that PPRTs (Pride, Professionalism, Respect and Teamwork) are the fundamentals of a good life." "The program was a big help in applying for jobs and college. The program taught us core values that we will use throughout our lives." "This program helped me with my manners, taught me to responsible and showed me how to be disciplined." "CJ was able to give me new opportunities and different career routes for my academic future. CJ also has made me grow mentally and physically as a leader and a cadet in the academy. I developed so many skills in this academy that would be beneficial in my future."